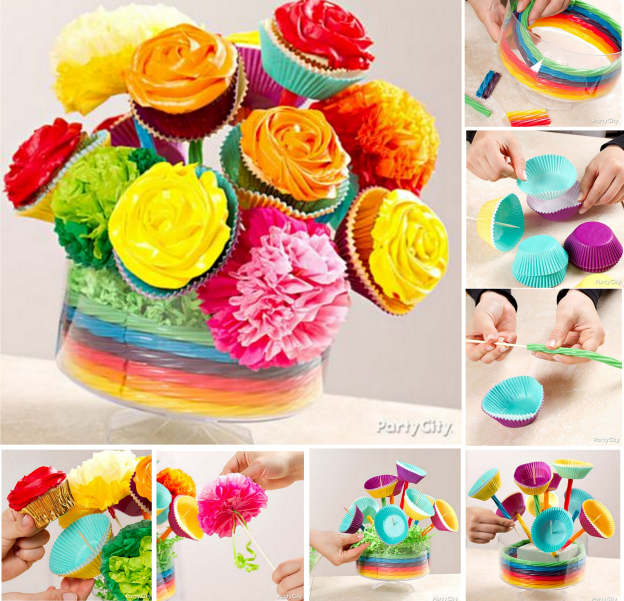 This delicious, impressive and very pretty cupcake bouquet is much easier than you think. This delightful edible bouquet is perfect for kids birthday party, a bridal shower, garden party, baby shower etc. Click below link for tutorail.